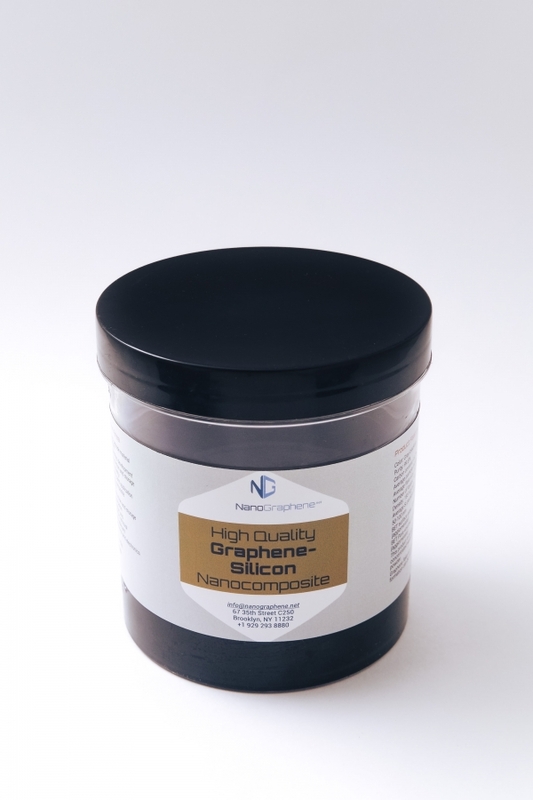 NanoGraphene produces high quality unoxidized pristine graphene-silicon (G-Si) nanocomposite for Anode, Supercapacitors and Catalysis applications. We have developed scaled up production technology to supply industrial customers. This product is available as a paste or dried powder. The product is made from high quality defect-free pristine graphene sheets, produced by mechanical exfoliation. Product properties can be tailored depending upon the customer’s requirements. A Certificate of Analysis and Product Specification Sheet are available upon request. This product can be directly used for application development using standard procedure. No additional requirements. This product can be dispersed in water, organic solvents and solvent mixtures by ultra-sonication, high-shear mixture, high-speed mixture, or via standard procedure. Further instruction can be provided upon request. If you require more info contact us.